Reading mysteries is fun because the reader tries to solve them. Following politics is like that, even when someone is fired, not murdered – although in political life there is not much difference. It’s more of a why-done-it. 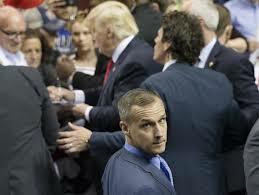 This morning I’ve been poring over the firing of Trump campaign manager Corey Lewandowski Trump’s Bouncer-in-Chief.. 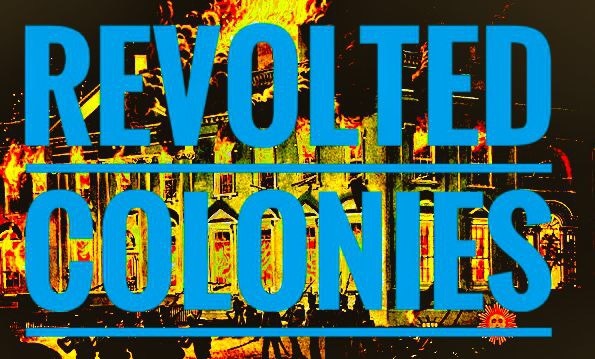 There are obvious reasons to fire him – inciting violence at the primary stops, allegedly assaulting a protester, sagging poll numbers, a bare campaign war chest. In fact, this weekend just before the firing the campaign ran an email blast saying, in effect, that the campaign is broke. But there are less obvious reasons as well, and that’s where the why-done-it question is leading us. We know in the last week, GOP leaders, who were yielding to the Trump campaign, had a change of mind. They were reacting to plummeting forecasts due to Trump’s ban on Muslim immigration; his self-congratulatory take on the Orlando tragedy; his typical neglect of facts. The GOP leaders got spooked. They’d been trying to figure a way to run Trump without losing their congressional majority. After Orlando, the rhetoric changed. There was renewed mention of an open convention. Even party leaders who support Trump, like Sen. Bob Corker of Tennessee, condemned his statements about the mass murders at the Pulse, the LGBT&Co. nightclub in Orlando. Trump has a problem, but the GOP has a bigger one. Trump’s problem was that he was not getting donor support from traditional GOP sources. He was trying to cozy up to them and their wallets when he had more Tourette’s moments on the campaign trail. He wasn’t going to put his own money up – the first rule of Trump – Only Spend Other People’s Money. It got so bad that over the weekend, his campaign ran an email blast to raise $100,000.00 – the cost of a Trump luncheon – for ad buys attacking Hillary Clinton. This was a mighty fall. But the party had problems too. If Trump couldn’t raise any money and couldn’t control his mouth, he would get shellacked in November and take the party down with him. The down ballot candidates for Senate and House would crash and burn, potentially putting all three branches of government in Democratic control. The party was examining the possibility of denying him the nomination. But that path was closed. Trump’s voters would not stand for that. The party would splinter for sure. The party had to stick with its Hair Apparent, even if he loses. But they couldn’t let the Senate and House races go into freefall. Thus, the Monday morning purge. The leadership forced Trump to fire Lewandowski as a condition to providing campaign support in the battleground states, especially those that are in play for the Senate. By putting Paul Manafort in as campaign manager, the leadership has one of its own. Manfort made his bones with Ford, Reagan, the Bushes and candidates Dole and McCain. He is the GOP eye in the middle of the Trump hurricane. If money is going into Trump’s campaign Manafort, not Lewandowski or Trump, will be accountable. Trump stated that he was going to take the campaign in a new direction: in other words, no more talk about walls, blanket immigration bans and racial profiling, for starters. This is why Lewandowski was dumped.